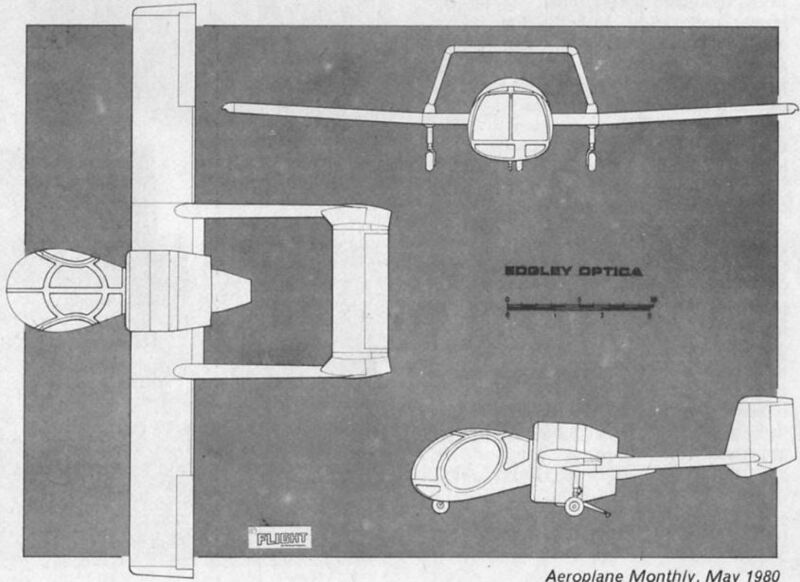 14 декабря 1979г. 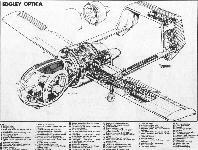 : постоянно страдавший от различных проблем прототип разведывательного самолета Edgley EA-7 Optica впервые взлетел в Крэнфилде. 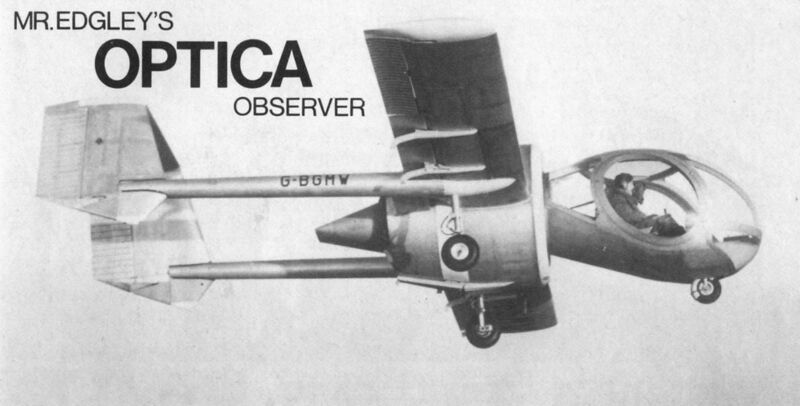 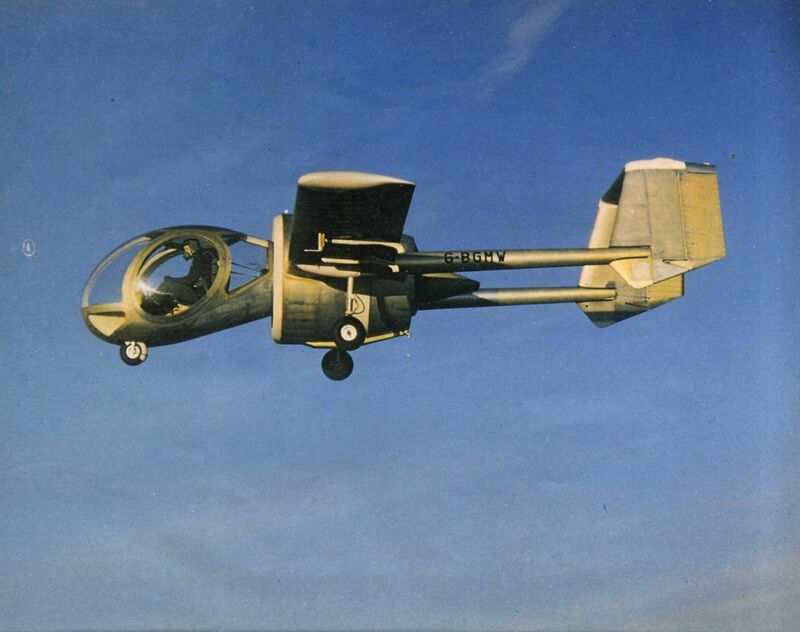 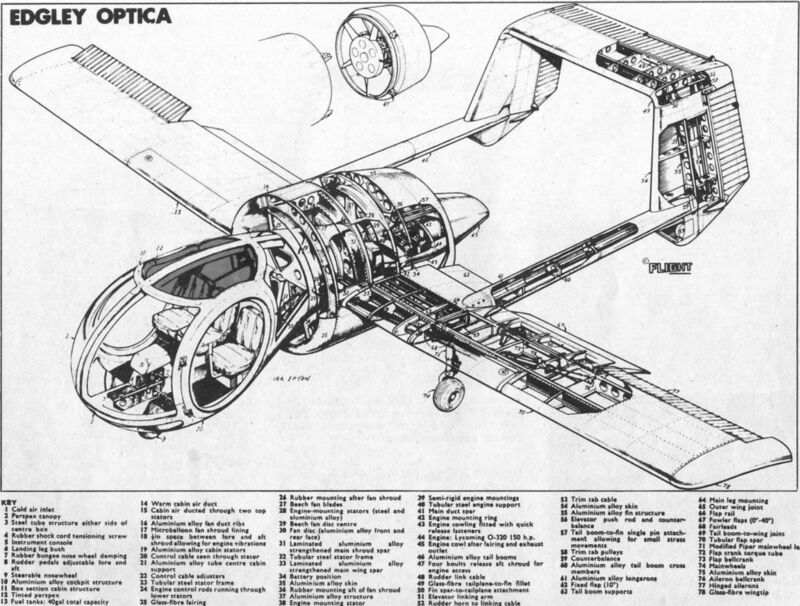 PETER HUDSON’S picture convey the Optica’s unconventional lines and the excellent view afforded the pilot and observer. 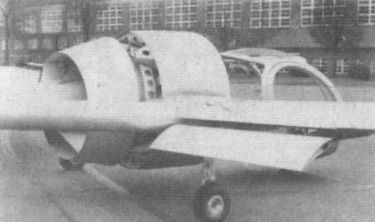 A view which displays the barrel-like fan duct and the underwing Fowler flap guides. The twin booms, high-set tailplane and shrouded fan are displayed here. 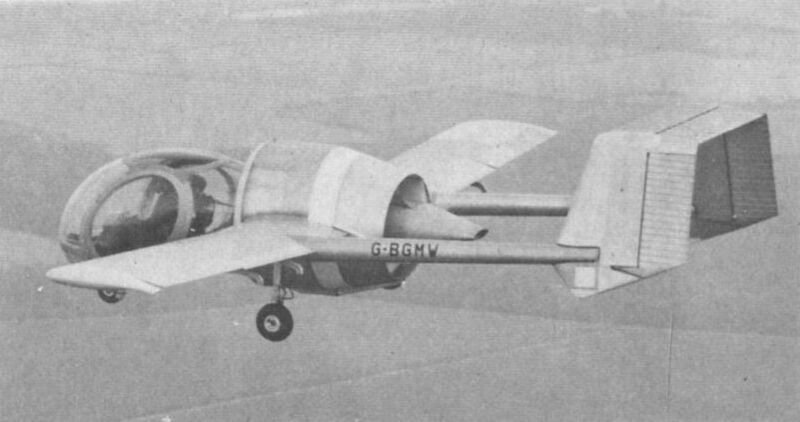 Note also the off-centre nosewheel. 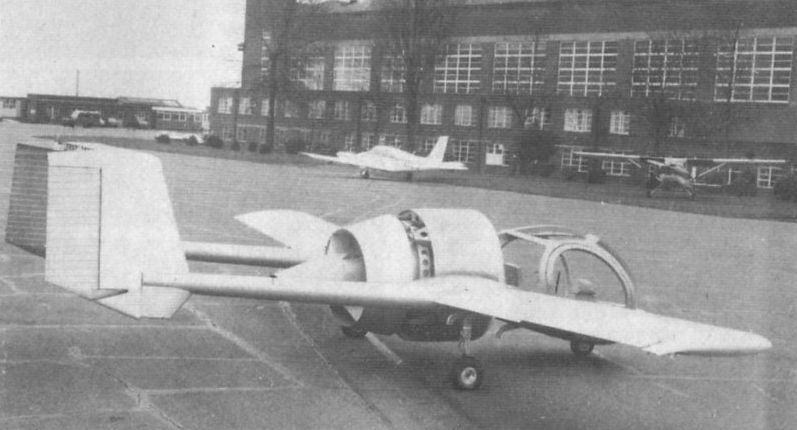 The Optica at Cranfield during final assembly, about mid-1979. 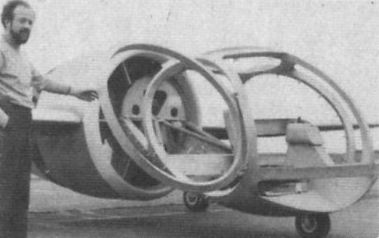 Dave Kent by the bulbous cockpit.